There are a number of established red squirrel populations in Scotland, and there are other suitable forested areas where they could live. However, they are unlikely to make their way to forested areas near Kinlochewe and Plockton because they avoid crossing large areas of open ground (habitat fragmentation ?, need for wildlife corridors), and travel between trees. Consequently, the charity "Trees for Life" has developed The Red Squirrel Reintroduction project. Their aim is to establish ten 'new' populations in the north west Highlands - in order to increase the number and the range of the red squirrel. Red squirrel numbers have fallen dramatically across the U.K. since the 1950's. Red squirrel numbers are estimated at about 138,000, of which 120,000 are thought to be in Scotland - with smaller populations on the Isle of Wight, Brownsea Island, Anglesey, Cumbria and Thetford. The grey squirrel still represents a threat to the native red squirrel in terms of competition for food and habitat, and the transmission of the squirrelpox virus. 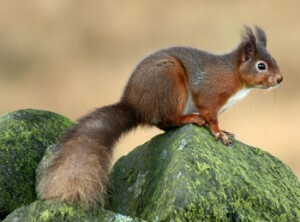 Small numbers of red squirrels are removed from sites where populations are well established, for example, the East of Inverness-shire and Moray. Their health is checked and they are then placed in special nest boxes for transport. These are lined with hay for comfort, and contain food and water. When the boxes (and squirrels) reach the re-introduction site, the boxes are fixed to trees and the exit holes filled with loosely packed grass - so the squirrels can find their way out. Whilst the squirrels grow accustomated to their new habitat, food is provided. 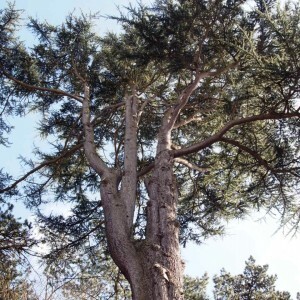 The 'new' sites for the squirrels offer excellent coniferous woodlands, indeed the 'favourite' habitat of the red squirrel is a large, mature Scots Pine wood - far from disease-carrying grey squirrels. They do have specific needs in terms of habitat, but why not contact the Red Squirrel reintroduction project . We seem to have more wild birds in our large urban garden than we see in the countryside, and a hedgehog, foxes, frogs, and gray squirrels are entirely at home here. would it be possible to try re-establishing red squirrels in such gardens?